It's Roisin Massey's first time in Saudi Arabia and she has a lot to learn. From behind the veil, Riyadh seems a hostile and forbidding place, for all its exotic beauty and opulence. Suddenly she's dependent on the man she married only 48 hours ago after a three-month relationship. Joe has lived in Saudi before; he knows how things operate. 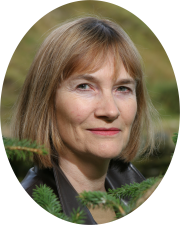 But Roisin is about to discover that Joe has not told her everything about his time in the Desert Kingdom - the drug thefts from the hospital where he worked, the friend he saw beheaded in as-Sa'ah Square, the woman who fell to her death. Soon the ghosts from Joe's past come back to haunt them both - and murder follows in their wake! 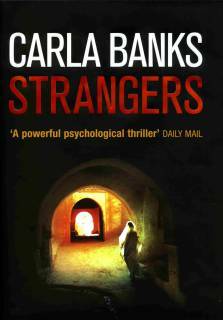 Carla Banks skilfully evokes the mixture of bewilderment and fear of expats living in a desert kingdom where "justice" is swift and apparently arbitrary and where even highly educated women often subscribe to a code that seems medieval to westerners. ... A complex and satisfying thriller, set against a backdrop of exotic nightmare.